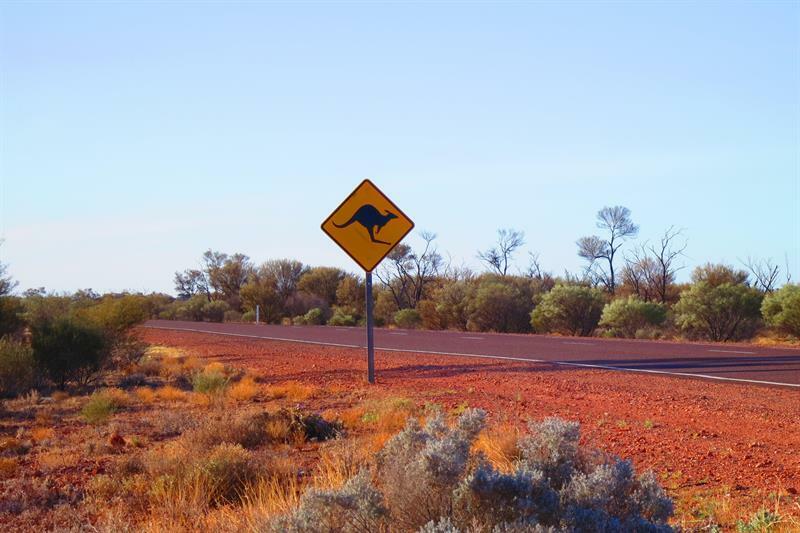 Like many countries around the world, Australia is preparing to evolve in the direction of a national mobile broadband capability for public safety and government agencies. As part of this roll-out, it is envisioned that any such capability – at least in the first instance – would complement existing mission-critical narrowband systems, which State governments continue to invest significant funds in. While the timescale and preferred model for this is still being deliberated – again, not unlike many other nations – what is apparent is that there will be some unique (and not so unique) challenges to overcome on the road in order to drastically increase bandwidth. These include the sheer amount of ground any potential network(s) would need to cover (within a landmass just shy of three million square miles), as well as the extraordinary remoteness of some of that terrain, and its enormous coastline. As has been the case with existing government narrowband LMR systems, each state will likely have a strong voice as to when and to what degree the public safety mobile broadband (PSMB) technology is rolled out. There is also little reason to think that the situation will be palpably different in several years’ time, in relation to a technology which by definition will be available from a variety of different providers (particularly given the way in which international open standards are being driven to include mission-critical features). It is clear then that Australia is a particularly fascinating subject for discussion, with both its politicians and public safety agencies attempting to understand the full implications of any potential move from narrowband. Before we can talk about the future, however, it is necessary to understand the present and the past. Kevin Graham is the managing director of consulting firm Global Digital Solutions, as well as founding chairman and ongoing board member of the Australasian Critical Communications Forum, which is the local chapter of TCCA. As such, he has been involved with public safety communications in Australia for many years. Giving an account of the events leading to the current situation, he begins with the original efforts by state governments to provision shared agency networks. These were intended to begin the migration from the numerous analogue networks used by individual agencies. Coming more up to date, he continues: “In recent years a Queensland GRN [Government Radio Network] has been established via a consortium led by Telstra. Historically, several agencies in Australia have also run dedicated narrowband data solutions. According to Graham, individual states had (and still have) responsibility for their own agency procurement, and as such there has never been any formal federal mandate on technology type, unlike, for instance, in places such as North America. So, what ultimately evolved during the 20-plus-year evolution of the GRNs, he says, was the need for both interworking and interoperability with legacy conventional channels. This was in turn complicated by the mixture of VHF and UHF deployments servicing both rural and greater metro areas’ agencies. Other considerations included radio spectrum availability, government spectrum harmonisation and narrowbanding, coupled with federal and state cycles of GRN evolution and funding. Over time, Motorola SmartZone/P25 became the de facto GRN standard, as different networks evolved from those first contracts. Discussing the situation in the present day, Graham says: “Most of the states’ public safety agencies now run on P25 government radio networks, particularly in greater metro, larger rural cities and population corridors. Additional funding over recent years has allowed coverage footprints to be improved, allowing further migration of agencies onto these networks. The Victoria statewide rural network has seen the former MPT1327 technology upgraded to a Tait-based P25 network. Moving on to TETRA, he says while the technology had some initial barriers to entry (such as internationally aligned spectrum), it still has a foothold in the country via its use across a variety of other mission-critical sectors such as resources, rail transport, wide area and many localised/in-plant deployments. According to Graham, this resulted from spectrum reforms and standards adoption advocacy led by local TETRA forums, and associations such as ARCIA (the Australian Radio Communications Industry Association). He adds this was particularly helpful in customers accessing open-standards-based digital technologies (such as TETRA) in rural areas, and in the fields of mining, oil and gas, and transport. He says: “Originally 800MHz was the only band available in Australia that was aligned with the international TETRA bands. As part of the UHF band re-organisation and narrowbanding undertaken by the local regulator – with support from ARCIA and other industry stakeholders – 450-470 and 403-430MHz bands were also aligned with international product availability. At the same time TETRA, P25 (phase 2) and other emerging narrowspacing technologies such as DMR could be used in the UHF sub-bands. This really opened up the market for TETRA and the other digital standards-based LMR digital technologies. One business that has benefited from this is Radlink Communications, whose contract to provide TETRA coverage to major rail freight operator Aurizon was recently featured in Critical Communications Today. The network – which the company describes as “one of the largest, most technologically advanced in the country” – covers an extraordinary 2,670km of rail network and encompasses 79 sites. It links up 50 coal mines as well as four major ports in the state of Queensland. According to Radlink, the system consolidated four outdated independent analogue solutions into a single cohesive network, specifically in the realm of train control, shunting, maintenance as well as wayside operations. Unlike the old system, there is also now no single point of failure, while the company has also improved monitoring, remote diagnostics and GPS tracking capabilities. As indicated, the Australian federal government and states are currently exploring options around the evolution of mission-critical broadband. In the first instance, this has involved the New South Wales Telco Authority – having been nominated by the states and federal agencies – leading an industry consultation and procurement programme. The first stage of this process took place in late 2017, following the issue of a request for information. This was followed a year later by a ‘request for proposal’ (RFP), which invited the telecommunications industry to undertake a proof of concept for public safety mobile broadband capability as the next step in evaluating and advancing the optimum procurement model. Speaking of the RFP at the time of its issue, managing director of NSW Telco Authority Kate Foy said: “NSW has been working in close collaboration with representatives from the Commonwealth and all the other Australian states and territories in developing the next steps towards a national PSMB (public safety mobile broadband) capability. According to NSW, the proof of concept will test the delivery model across urban, regional as well as remote locations over a 12-month-plus period, expected to begin early this year. Discussing the context of the proposed roll-out, Graham says: “PSMB has been on the agenda for almost 10 years. Personally, I think the hold-up has been down to a number of things, for instance the technology and standards progress, perennial questions about spectrum, as well as capturing the fundamental user requirements and alignment of cross-government collaboration. The decision to move forward was made following an evaluation in part by the Productivity Commission (PC), which is a government body contributing to microeconomic policy. Another way in which the Australian experience is likely to parallel other nation states is by going with a ‘data first’ approach, while assessing standardised mission-critical push to talk (and data) as a probable future migration. There are a number of fairly intuitive reasons for this, not least that standardised MCPTT technology is still coming to commercial fruition. This is something that was tacitly acknowledged by the UK Home Office in its recently announced Emergency Services Network change of direction, and well as by the early roll-out of FirstNet in the US. Speaking of what kind of model he ultimately expects, Graham says: “It is apparent that a MNO/MVNO model will be central to an economical outcome. However, service quality, security, coverage, reliability and resilience will clearly also be of extreme interest to government and the end-users themselves. This may also drive some outcomes that require consideration of hybrid model variations, including for augmented coverage. “Spectrum availability for potential use by PSMB may also have some bearing on the outcomes. This could include some limited spectrum earmarked in the 800 [Mhz] band by the regulator. The proof of concept proposed will hopefully provide a sound basis for more informed decision-making by government. It is obvious that Australia is now more closely monitoring the developments in other countries, such as FirstNet in the United States and the Emergency Services Network in the UK. Prior to that, other options are already available, albeit by no means approaching the functionality envisioned in relation to fully formed mission-critical broadband. One example of this is LANES, through which authorised subscribers can be given prioritised access to MNO Telstra’s LTE network. “Telstra is the telco which has put a lot of energy into the public safety market in Australia,” says Graham. 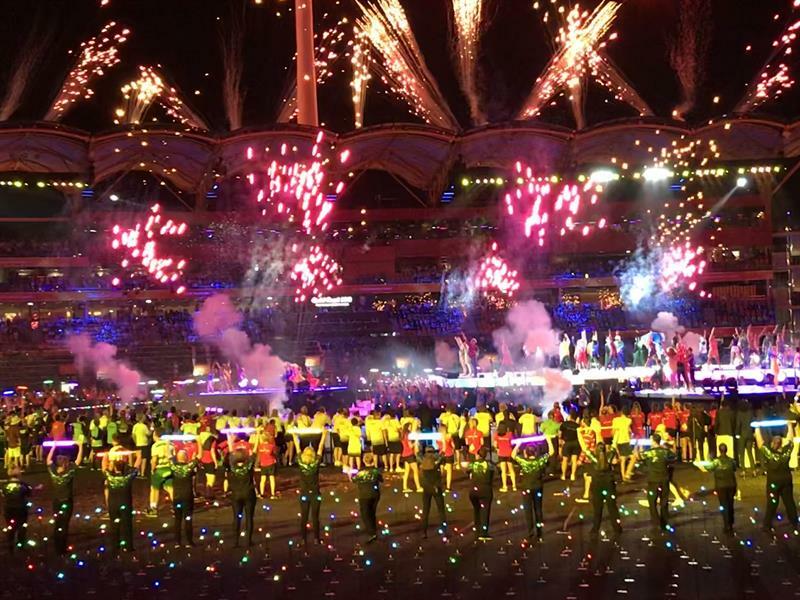 “They used LANES successfully during the recent Commonwealth Games, something which marked the beginning of the mission-critical data story from first-responders’ point of view. It’s clear that the political, commercial, not to say legislative, landscape is by no means straightforward in Australia. Just as complicated is the operational environment, something not made easier by the country’s vast geography. It is patently an exciting time to be involved in mission-critical communications in Australia. Critical Communications Today will have all the latest developments as the story unfolds.